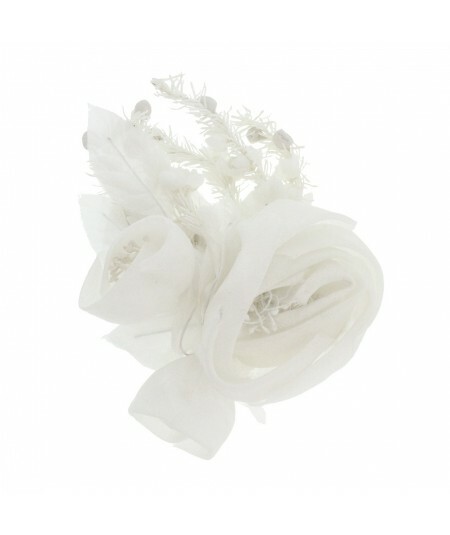 Bridal accessories for the Bride and the Bridesmaids. Congratulations this is your year to tie the knot! Make your wedding day the most memorable with one. 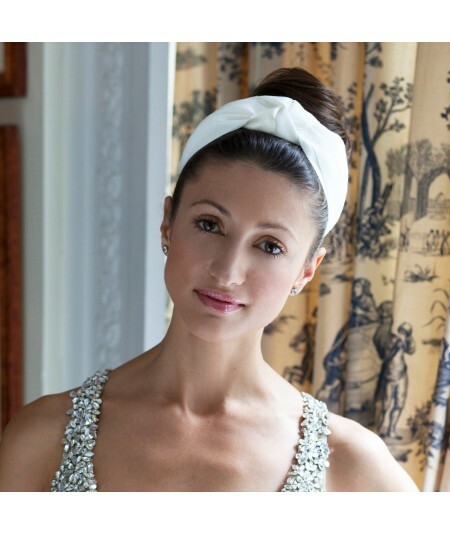 Highlight the most important part of yourself, your face, with one of our bridal accessories. 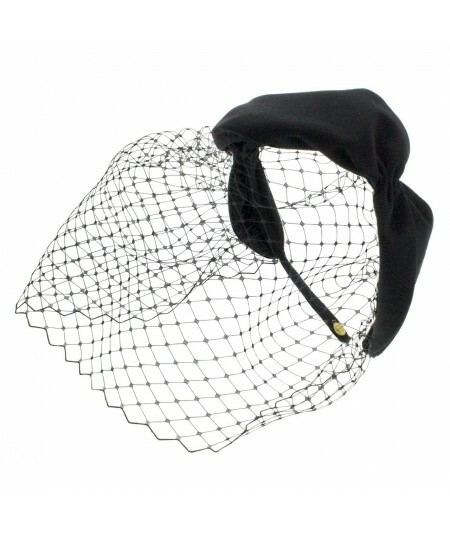 Your hairstyle and headwear should do the most to compliment your face and bring out your eyes. 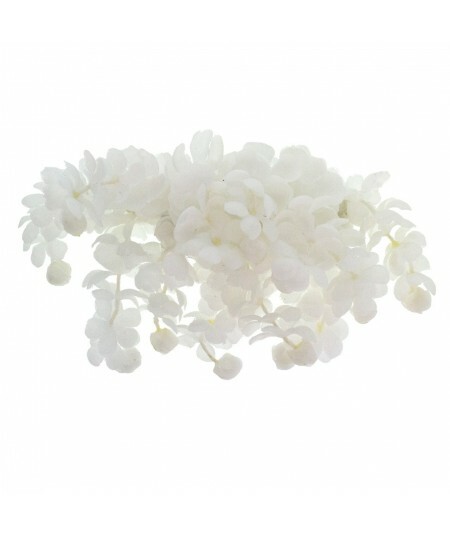 Our collection of bridal accessories is gorgeously subtle, but daring. 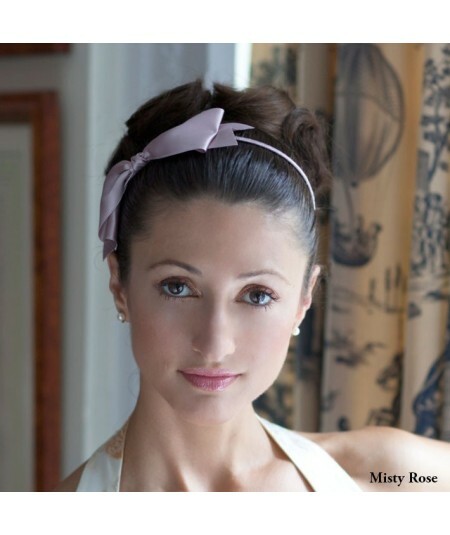 Brides always look best when they choose timeless looks and we are here to help you with your decision. 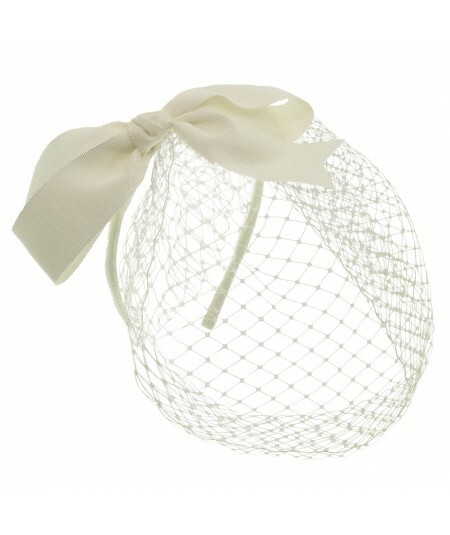 Choose from our selection of birdcage veils, satin headbands, wedding fascinators, and sparkly hair accessories. 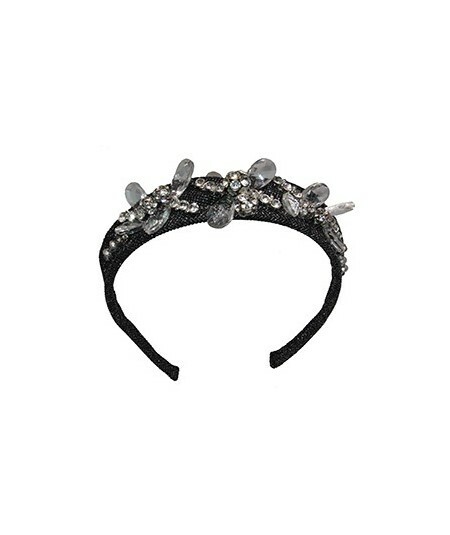 Of course its best to choose your Jennifer Ouellette bridal headpiece before finding your dress. 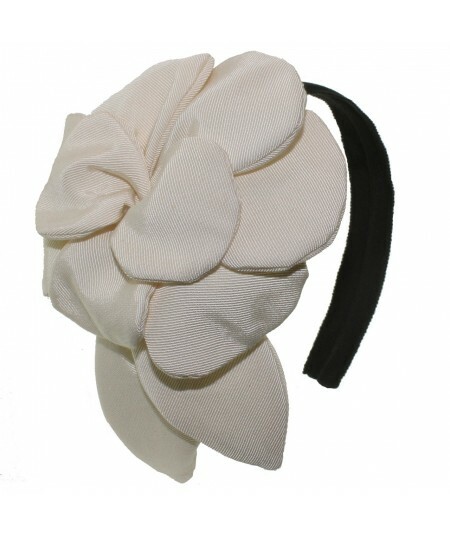 :) But no matter what the dress style we've got something to add to your bridal or bridesmaids looks. 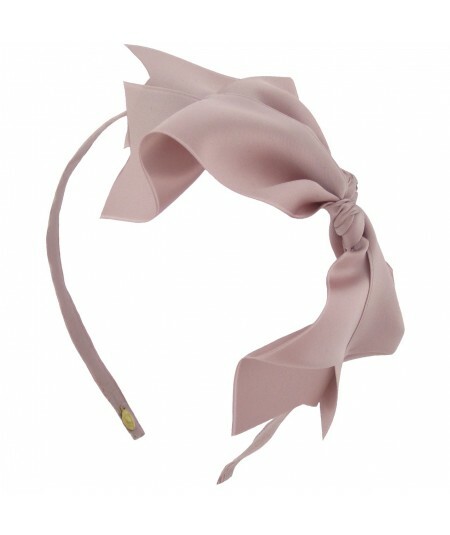 Might we suggest the perfect gift for the bridesmaids would be a hair accessory to wear during and after the wedding. 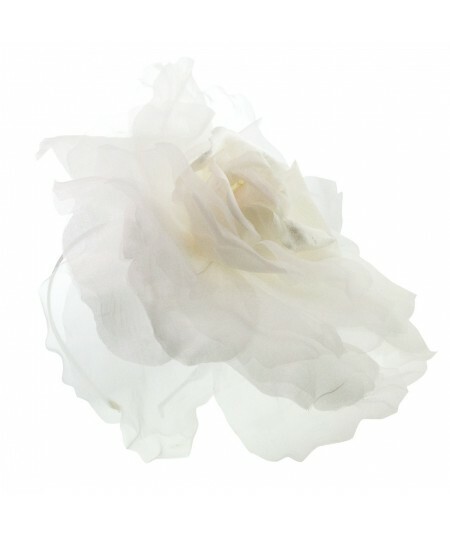 Not all brides choose to wear white, but we have the best selection of satin and ribbon colors, including white, ivory, cream, beige, misty rose and more. 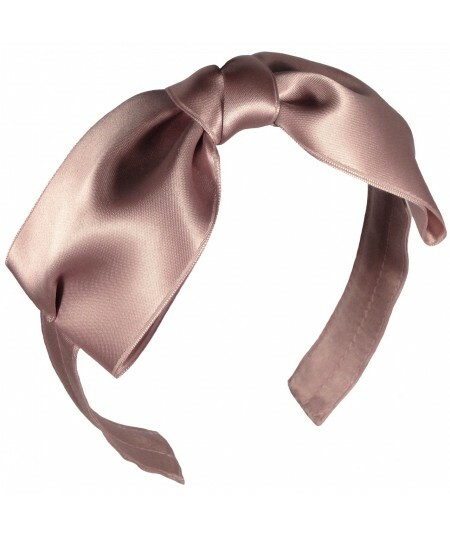 Also we've got over thirty satin colors to match any bridesmaids dress. 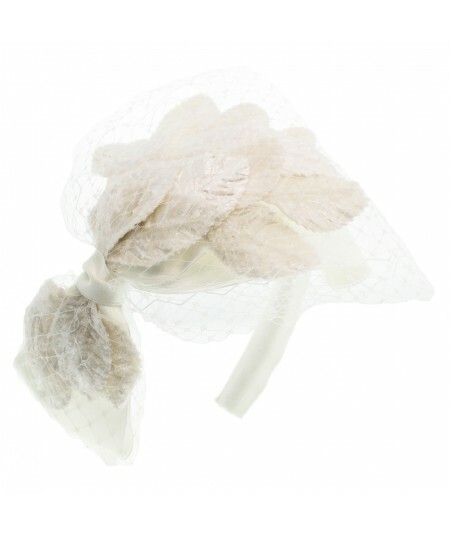 At Jennifer Ouellette, our bridal party accessories help celebrate your wedding day! 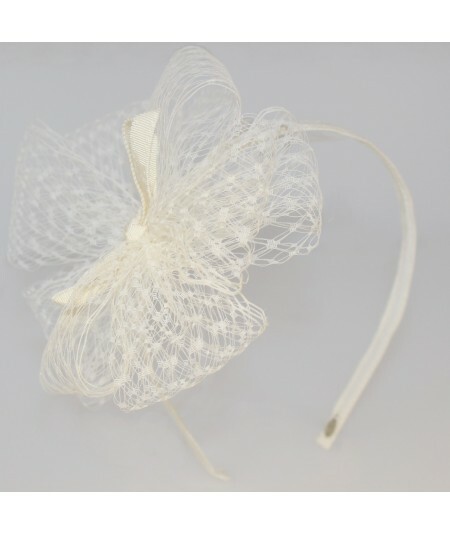 All bridal accessories are handmade by Jennifer Ouellette and her artisans in her fair trade studios, NYC and the Dominican Republic. Congratulations, let us help you get ready to tie the knot! Be the most beautiful bride and make your day the most memorable one. 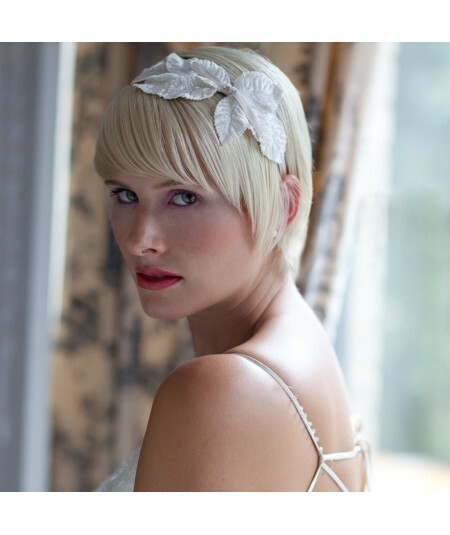 Shop our bridal accessories and choose one to highlight the most important part of yourself, your face. 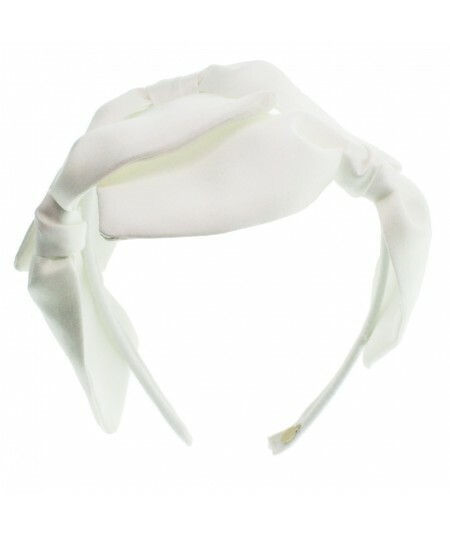 One of our bridal accessories worn in your hairstyle will compliment your face and bring out your eyes. 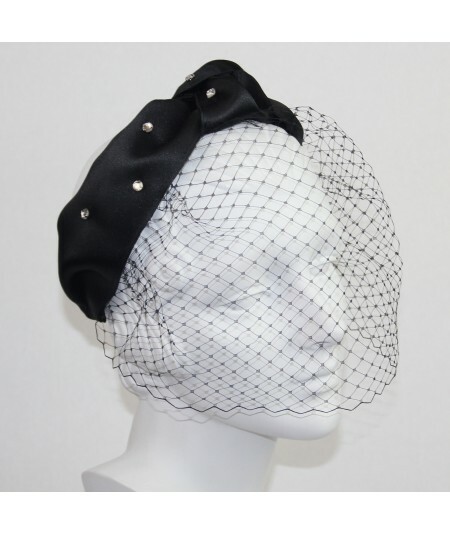 Whether you choose to be subtle or daring, brides always look best when they choose timeless looks and we are here to help you with your decision. 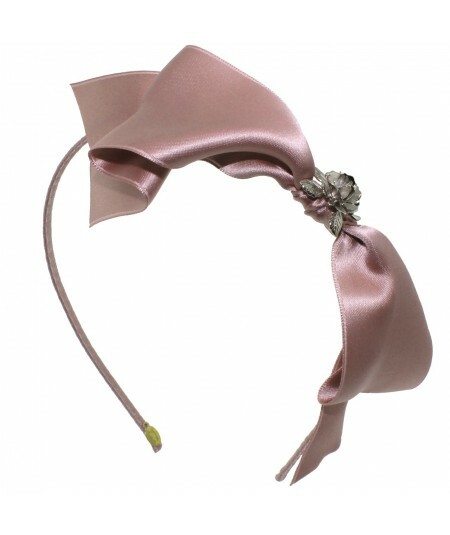 Choose from our selection of sparkly hair accessories or satin trimmings. 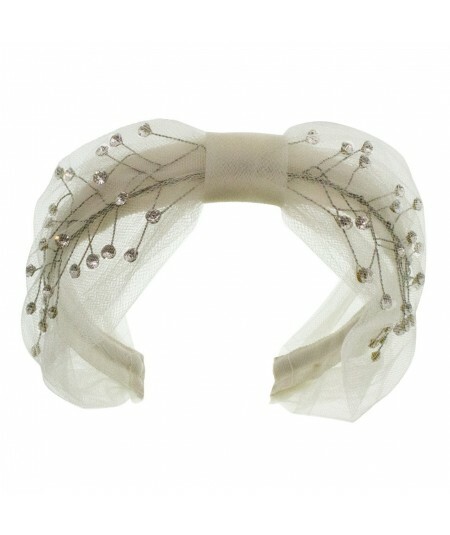 Of course we recommend you choose your Jennifer Ouellette bridal hair accessory before finding your dress. 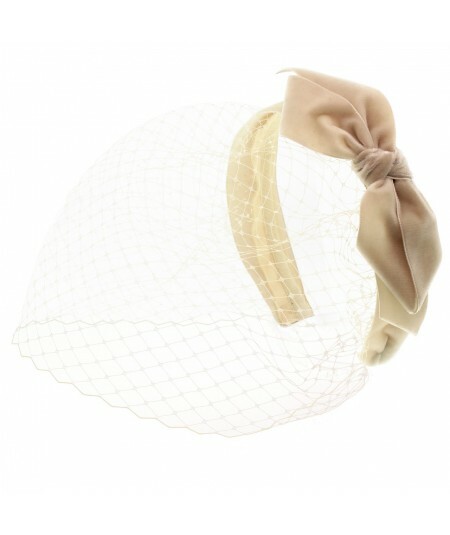 :) Regardless of which comes first, your chosen Jennifer Ouellette accessory will surely spark your wedding style. 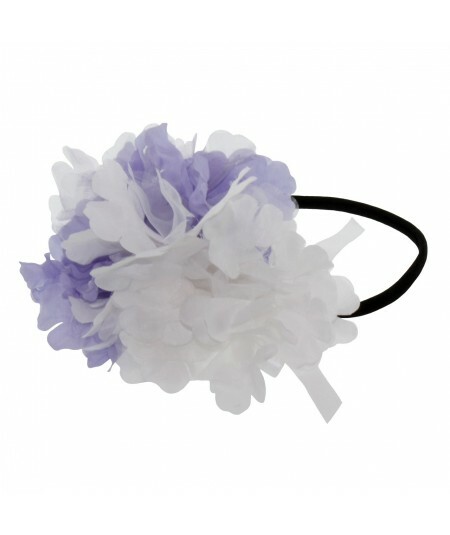 Perhaps, the perfect gifts for the bridesmaids would be a hair accessory to wear during the ceremony that can also be worn with their own style after the wedding. 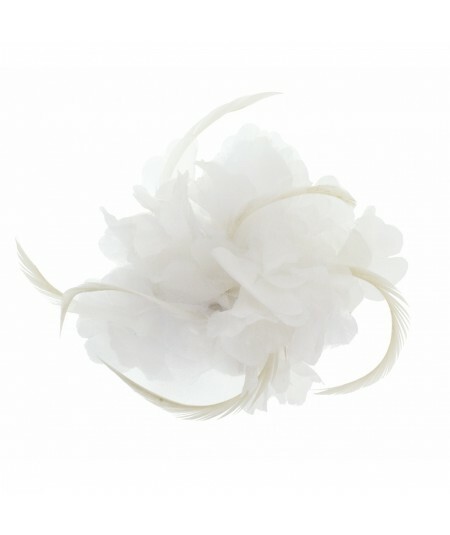 At Jennifer Ouellette, our bridal accessories help celebrate your wedding day! 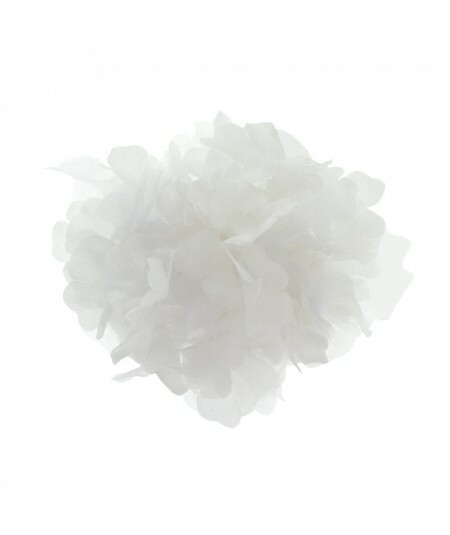 All bridal accessories are made with happiness by hand by Jennifer Ouellette and her artisans in her fair trade studios, NYC and the Dominican Republic. 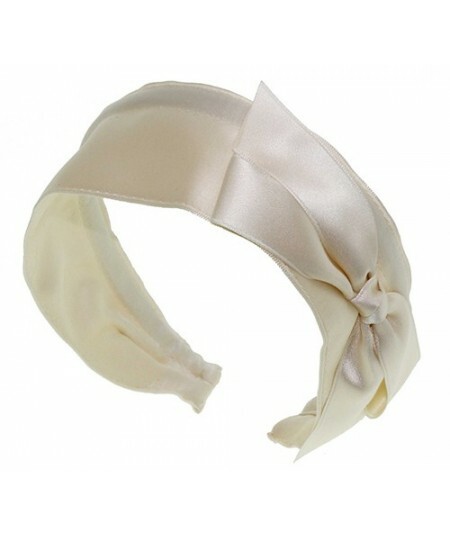 Wrapped Satin Skinny Headband Trimmed with 11" Extra Large Satin Side Bow. Be Bold! 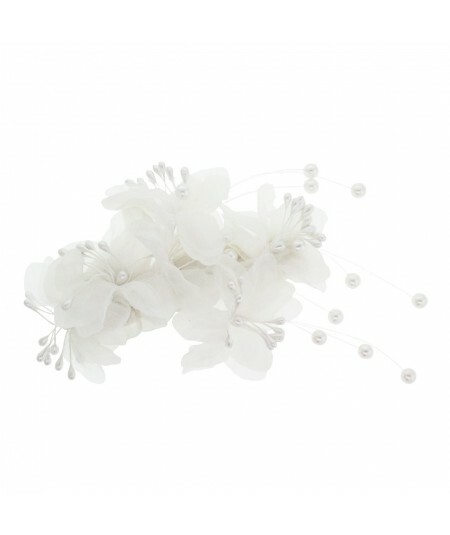 Bridal Floral Barrette with Pearl Sprays Fragile! 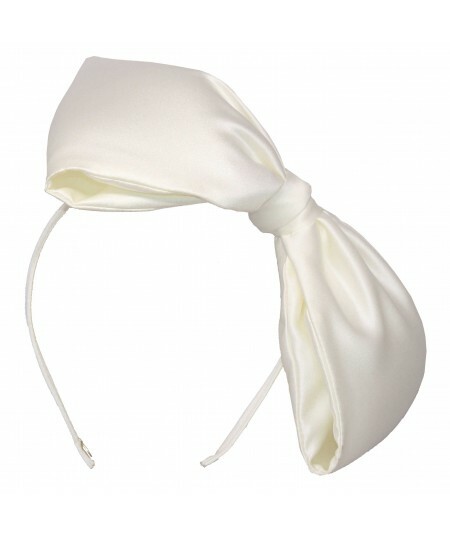 Satin Side Bow Trimmed Headband. Approximately 2" Wide. 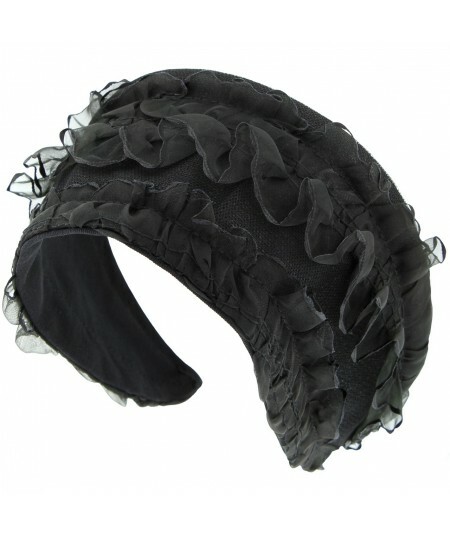 Millinery Hand Made Wired Petals from Grosgrain Ribbon on Black grosgrain 1" Band. 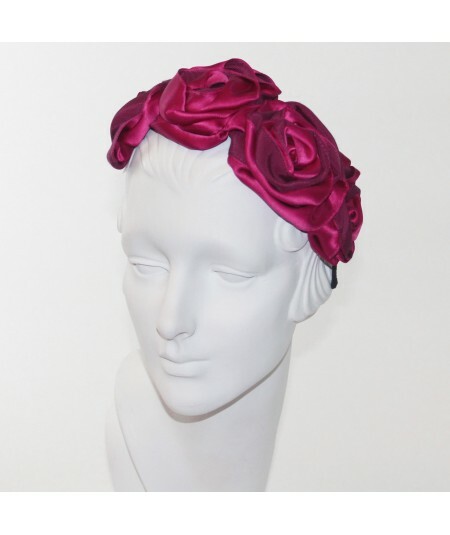 Lush Velvet Leaves Side Detail Trimmed wtih Grosgrain Tie On Basic Skinny Grosgrain Headband Perfect for any Bride or Bridesmaid!